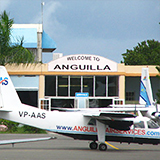 Flying to Anguilla from Puerto Rico was a breeze back in the early 2000's. In those days, American Eagle flew direct with a conveniently timed and reasonably priced night flight. Sadly, American Eagle discontinued that service. Luckily today, Seaborne Airlines has stepped in where American Eagle stepped out. 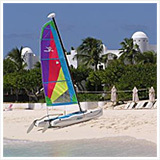 Seaborne Airlines flies to Anguilla from San Juan, Puerto Rico 5 days per week. Flying to Anguilla via San Juan, Puerto Rico has long been "the" way to go if you are coming from the West Coast of the United States and Canada. 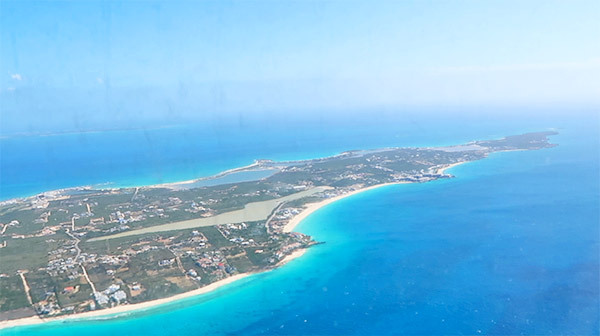 From the East Coast and Europe, it is generally easier to get to Anguilla by flying into St. Maarten, which is just a 20 minute boat ride from Anguilla. 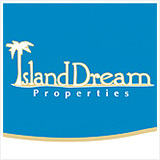 A large international airport, major airlines fly in daily at reasonable rates. 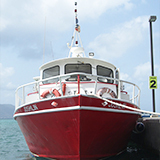 Once our family discovered the Anguilla route via St. Maarten, we never looked back. 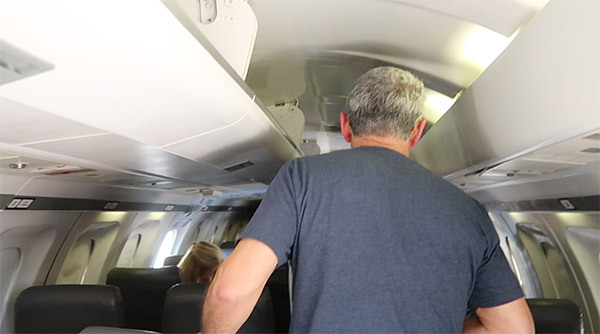 Check out the video below for an overview of flying with Seaborne Airlines. The Fleet Seaborne flies a Saab340B. It is a two-engine turboprop aircraft with 34 seats. The aircraft has 2-1 configuration, with two seats on the plane's right side and one seat on the plane's left side. It is a small plane (smaller than the old American Eagle) with limited leg room and overhead room for carry on, but it is comfortable. 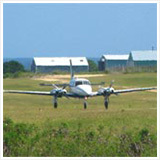 It is also larger than others that fly into Anguilla. Flight Duration It is an easy 50 minute flight. Flight Regularity & Price As of April 2018, Seaborne flies 5 days/week. 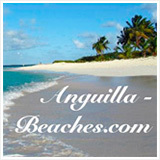 The prices are more affordable than other airlines that fly from Puerto Rico to Anguilla. 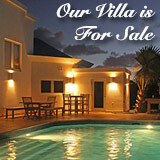 The prices can fluctuate considerably day to day, so deals can be found. (Other airlines, by comparison, have fixed rates.) For example, in April 2018 the majority of Seaborne's flights to Anguilla from San Juan were $350. But we were able to find a flight that was $169 from SJU to AXA. Flying Into Anguilla Directly This one goes without saying! 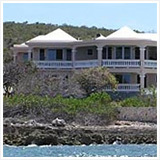 The beautiful Anguilla blue views are a treat as you make your approach into Clayton J. Lloyd International Airport. Once you land? You are "home," no need to organize a boat transfer. Luggage & Carry On There have been many reports of Seaborne Airlines losing checked luggage. If you are checking luggage, beware. When it comes to carry on, the max weight is 30 lbs. Carry on limits are strictly enforced. Size must be within, but even if your bag meets the requirements it often ends up in the hold just before you step foot on the plane. You get your bag back as soon as you step out of the plane. However, if you have electronics or valuables in your larger carry on, place them in your smaller carry on (purse or small backpack). Connecting Through San Juan San Juan's international airport gets hectic with long lines at TSA. Once you are through immigration, the Seaborne Airlines departure lounge is a fair hike (15 minute walk) from the rest of the airport. Keep your eye open for the good folks at Seaborne driving through the airport. They are more than willing to give you a ride to the gate. From the gate to the plane, it is another 5 minute walk. 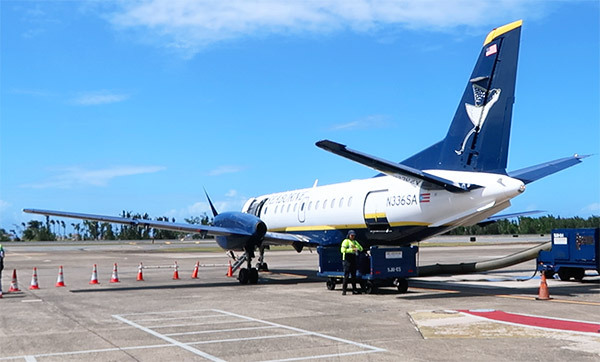 Getting to Anguilla "via St. Maarten" is still our #1 way to fly to Anguilla, but Seaborne offers a good alternative at a relatively reasonable price. 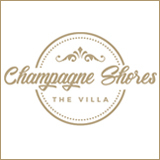 It is an especially attractive option if you are coming from the West Coast, or other areas that would require an overnight if you flew to St. Maarten instead. 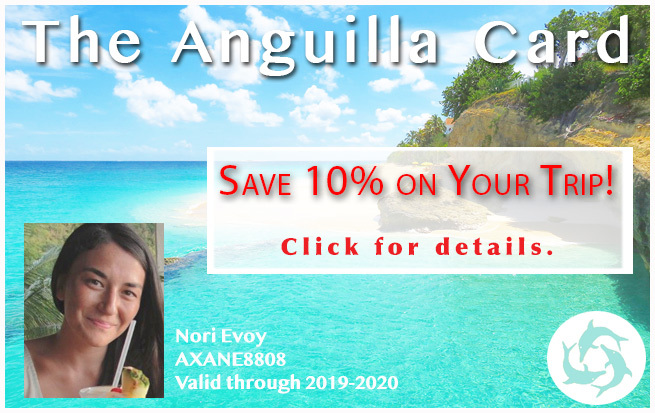 All in all, a smooth and comfortable ride with the bonus of landing directly IN Anguilla with a sweet dose of blue views as you make your approach. 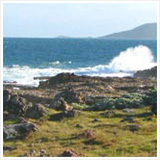 For Seaborne's exact flight schedule and prices, click here.